The decryption keys of the Crysis ransomware were posted on Pastebin, which allows victims to decrypt their hijacked files without paying. Crysis was notorious for spreading through attacks on the Windows Remote Desktop Protocol, using brute force attacks. Why the keys were released is also unknown, but it may be due to the increasing pressure by law enforcement on ransomware infections and the developers behind them. Kaspersky recently added the decryption keys to their ransom-decryption tool and the BleepingComputer site explained how to get your files back. Recently, all files on a server of UFCW were encrypted and they sent a message to their 18,000 members that their data had possibly been stolen, including their name, DOB, SSN and account number. The fund was managing around 500 million dollars, and discovered they had been hacked a week before the ransomware infection kicked in. The attacker demanded 3 Bitcoins, around 2,000 dollars -- but UFCW decided not to pay and restore from backups, Bloomberg reports. It is unclear how the hackers got access and what ransomware strain it was. Researchers at Proofpoint dug up a new browser locker variant that uses Facebook, Skype and LinkedIn profile information and download history to extort money from victims. The strain is called Ransoc and spreads through malvertising -- infected malicious ads on legit websites. This is more "Blackmailware" than ransomware as these criminals go after the reputation of the person instead of their files. Moreover, they are pretty brazen because they allow the victim to pay with a credit card, which is relatively easy to trace back. The malcode disables RedEdit, MSconfig and the Taskmanager but only adds a key to the Registry, so a restart in Safe Mode and taking out that key is sufficient to remove the infection. 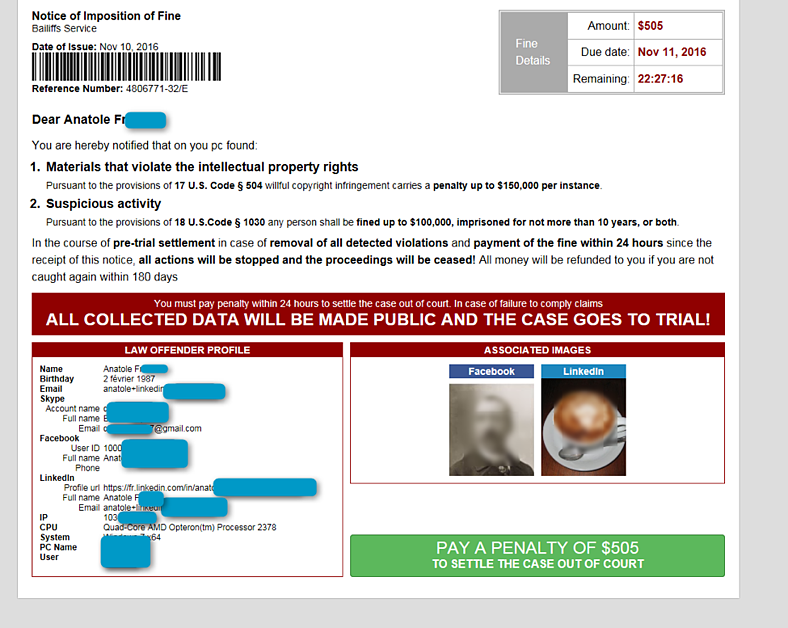 Microsoft warned against a spam campaign that tries to social engineer users to open the attachment which is a fake fax attachment which contains a "Criminal case against you”. 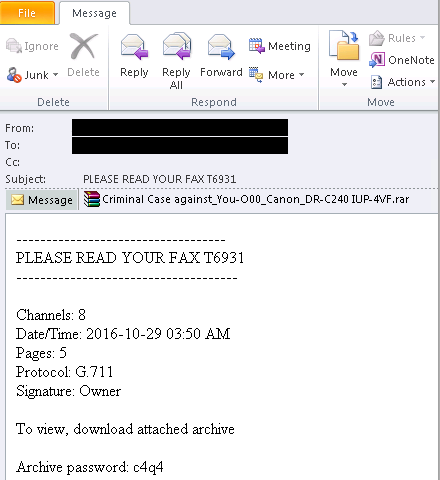 They discovered a new threat that uses email messages pretending to be fax messages, but in truth deliver a ransomware downloader. The attachment is a password-protected RAR archive file that, when extracted, is a trojan. The user is social engineered to put the password into the archived file to unzip it. Fabian asks: "What would you do? Would you help them?" 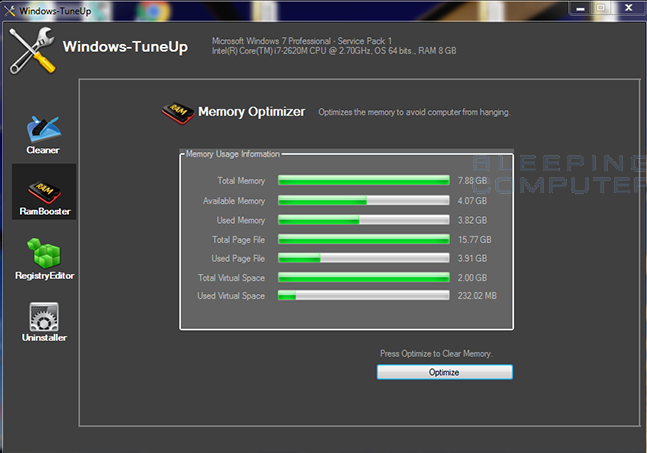 Bundled software is getting more dangerous by the month. Catalin Cimpanu wrote: "Ever since it launched in April 2016, the ID Ransomware service has been slowly, but surely, becoming the default destination for victims looking for information to aid them in solving their ransomware infections. If you haven't heard of it by now, ID Ransomware, sometimes referred to just as IDR, allows ransomware victims to upload a copy of their ransom note along with an encrypted file to a specialized website. After the portal's backend analyzes the submitted data, it will try to identify the ransomware that has locked the user's computer by looking at several clues such as the ransom note text, the Bitcoin address used, email addresses found in the ransom note, and more. The service has been immensely useful, and according to Michael Gillespie, the man that has put it together, has received 158,577 submissions from 81,965 unique IPs." How vulnerable is your network against ransomware attacks? Bad guys are constantly coming out with new versions of ransomware strains to evade detection. Is your network effective in blocking ransomware when employees fall for social engineering attacks? 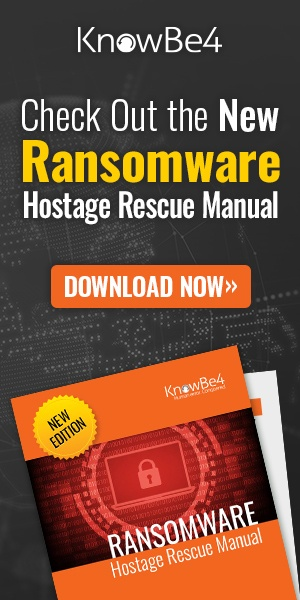 KnowBe4’s Ransomware Simulator "RanSim" gives you a quick look at the effectiveness of your existing network protection. RanSim will simulate 10 ransomware infection scenarios and show you if a workstation is vulnerable to infection.